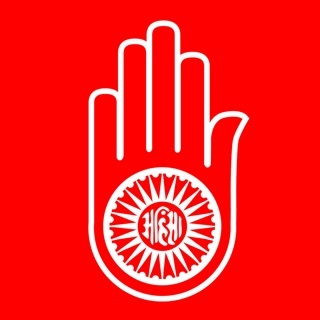 General elections are due to be held in India in April or May 2019. 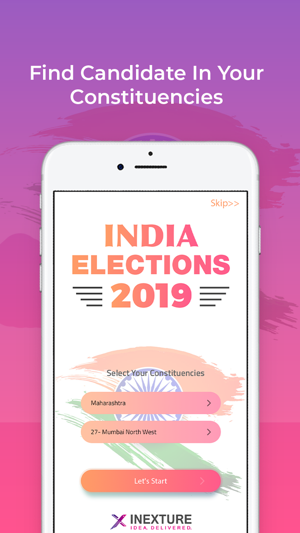 India Elections 2019 app provides features for SEARCH FOR VOTER ID and VOTERS REGISTRATION HELP LINKS. 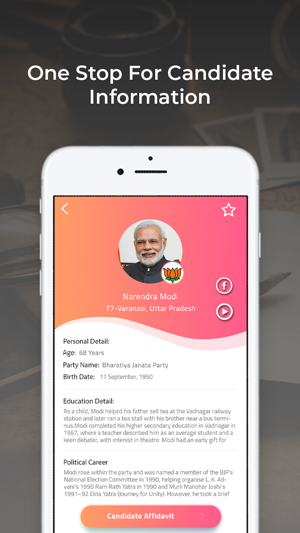 It also features complete information of regarding all the constituencies, Voter ID Search, Rate your current MP, previous Lok Sabha election result, burning issues of each constituency, Popular Candidates, Latest News and other happenings of Elections. 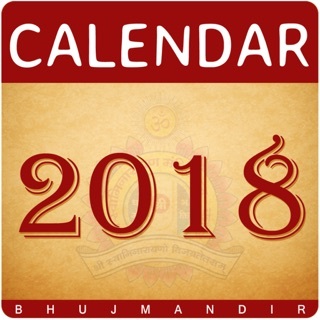 In sort all information regarding upcoming India Elections 2019 at one place. Our objective to spread awareness regarding candidates, parties and encourage voters to vote for better future of India. Encourage Voters for take part in India's biggest festival of democracy. 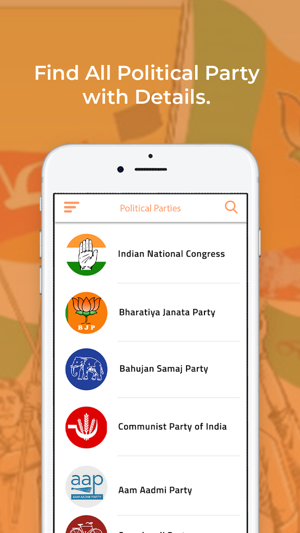 Idea behind this app is to spread awareness and provide voters with specific information to make informed decisions. 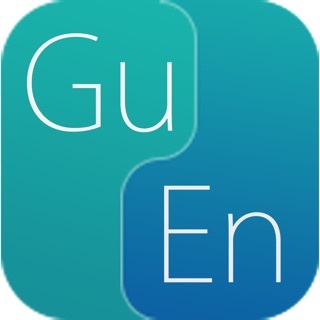 App supports two Language English and Hindi. 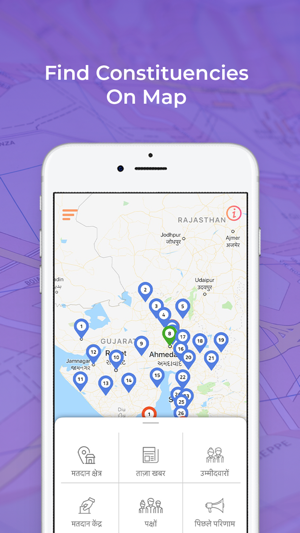 All the information available in two Language English and Hindi. Complete details of entire 543 Lok Sabha constituencies across india of all the 29 states and 7 union territories . Information regarding your current MP and provide rating to him/her on their current performance. 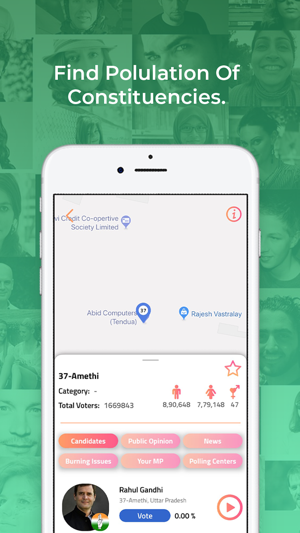 Users can view candidates, constituencies, parties. Last result of General Election in 2014 with details..
Map view for each constituencies, politician details with their biography and previous year result for their seat. 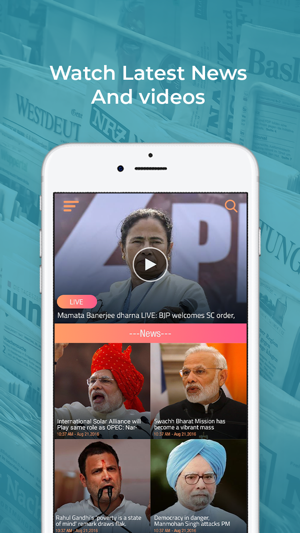 In sort all information regarding upcoming India Elections 2019 at one place. Our objective to spread awareness regarding candidates, parties and encourage voters to vote for better future of India. - We have added the latest election schedule and Application tutorial for our users.